CAMERA LEFT / STAGE RIGHT is a collective of working industry professionals offering audition technique classes for all skill acting levels and across different media platforms. Classes are held at Southpaw Casting Studios in North Hollywood, and are conceptualized & administered by the casting directors at asg casting, inc. CAMERA LEFT / STAGE RIGHT is a collective of industry professionals offering classes for all skill levels and across different media platforms. Classes are held at Southpaw Casting Studios in North Hollywood, and are conceptualized & administered by the casting directors at asg casting, inc.
After graduating from NYU’s Tisch School of the Arts with a degree in Film, Arlene learned the intricacies of talent logistics and acquisitions while working as a talent coordinator on rock documentaries in New York. She went on to build experience on set, working as a talent coordinator and 2nd A.D. on commercials and independent features. Her rapport with actors led to a job as a personal assistant to Raquel Welch, as well as on-set liaison with celebrities such as Bill Cosby and James Brown to name a few. This practical experience, paired with her film school background, allows her to execute casting sessions with a director’s understanding. In the early part of her career, as one of the in-house Casting Directors at HKM Productions in Los Angeles, Arlene spent many days-- and sometimes weeks-- on the road, traveling around the country to cast real people for ongoing projects with clients such as American Airlines and Oscar Mayer. She also cast The Mole, which was one of the first shows to start the Reality “Elimination” Show craze. As founder of asg casting, inc. & Camera Left / Stage Right, Arlene offers clients her wealth of experience in casting across many platforms and media. After graduating with a B.A. in English and a minor in Film Studies from Colorado College, Justin moved to Chicago where he worked on commercials and indie films in various capacities, ranging from P.A. to Video D.P. Serving as a veritable jack-of-all-trades on many shoestring productions, Justin gained a working knowledge of all aspects of production, including productions’ angle on casting and talent. Justin’s ties with production led him to a position at a company devoted to promoting the careers of young actors. There he worked with actors on a regular basis to hone and showcase their talents. This position sent him overseas for a year, where he cultivated relationships with British talent agents in London. 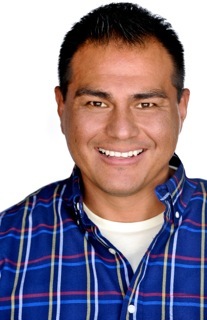 In 2004, he became a partner at asg casting, inc., where he contributes his familiarity with both the SAG-AFTRA and non-union talent pools to find the best talent for commercials, television, and web-based content. His understanding of the SAG-AFTRA Commercials Contract and the CoEd (Industrial) Contract allows him to provide clients with sound advice on both bidding and talent negotiations. In 2016 Justin was elected to the Board of Directors of the CCDA/LA (Commercial Casting Directors Association, Los Angeles). Check out Justin's blog Just North of Hollywood, where he shares lessons learned from experiences he has gained casting commercials for more than a decade.